We had the pleasure of staying with a long-time family friend while in Santa Fe. Delores lives in a quaint adobe house near the main square and was the most welcoming host; she gave us a warm bed to sleep in, urged us to do laundry if we needed, showed us around town and feed us lots and lots of delicious food. 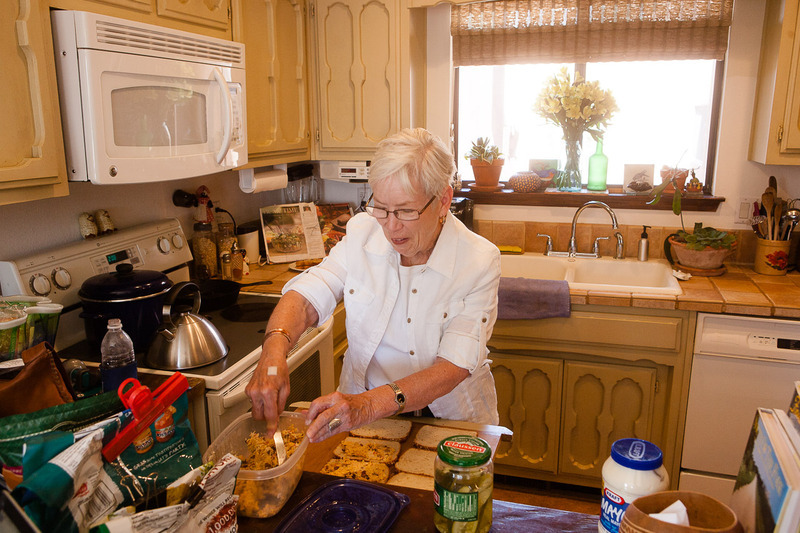 Delores fixing one of many amazing meals. Once we settled in, the three of us sipped ice cold beers on the patio and traded traveling stories before strolling downtown to explore the gift shop heavy Old Town Square. We returned a few hours later to a fantastic meal of Texas-style barbecued brisket, coleslaw, super buttery-cheesy potato casserole and garlicky toast. Early the next morning, we drove an hour southwest to Kasha-Katuwe Tent Rocks National Monument to hike the Canyon Trail. We had tried to go the day before, but it turns out they are extremely strict about their "no dogs" policy due to the park's proximity to the Cochiti Indian Reservation. We couldn't even enter the park with Bulleit in the car. So we set off on the three mile roundtrip trail with the hot sun already beating down on us. 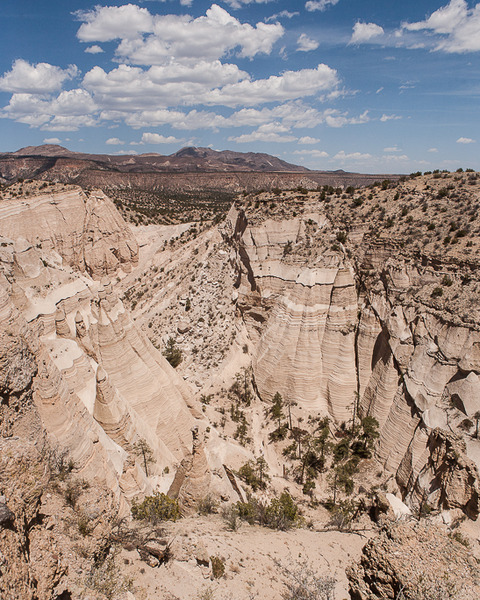 The first leg of the trail is through an open, flat area surrounded by tall, striated cliffs. 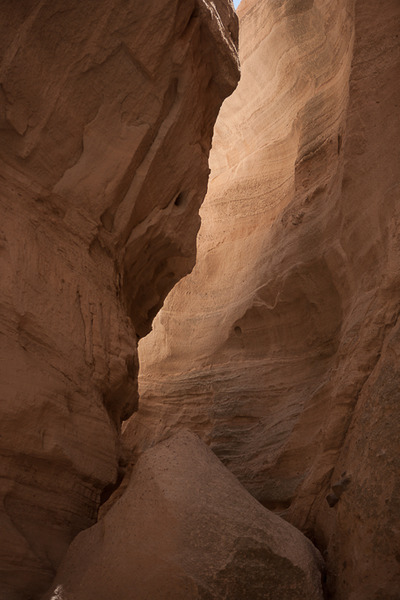 Then there's a slot canyon that slowly narrows to a could-barely-squeeze-through opening. The trail gradually steepens as we exited the slot canyon. Then steep turned into giant steps up and switchbacks every ten feet. The surrounding rock walls broke apart to form tall pillars with pointy tops: the famed Tent Rocks. The Tent Rocks were clustered together in their little tent village, all the same height and pointing towards the sky. 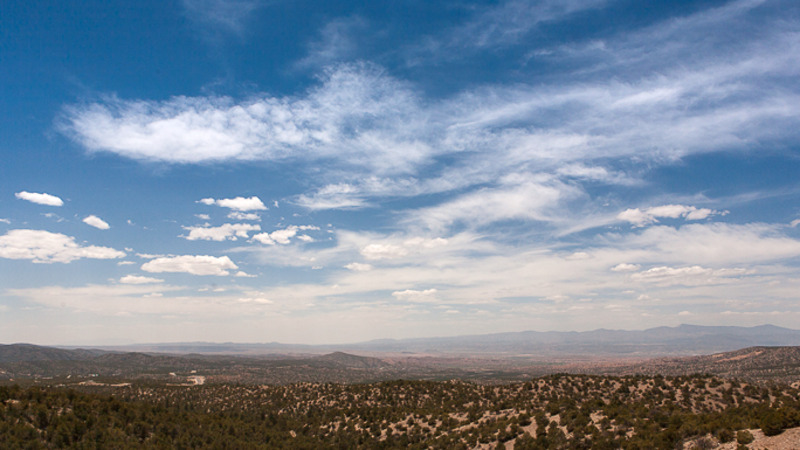 As we climbed higher, we could see miles of land past the canyon ridge and the majestic Santa Fe Mountains in the distance. After lots of huffing and puffing, we made it to the top and could see everything. After enjoying some pimento cheese sandwiches (thanks Delores! ), we tromped our way back down in the sweltering afternoon sun. 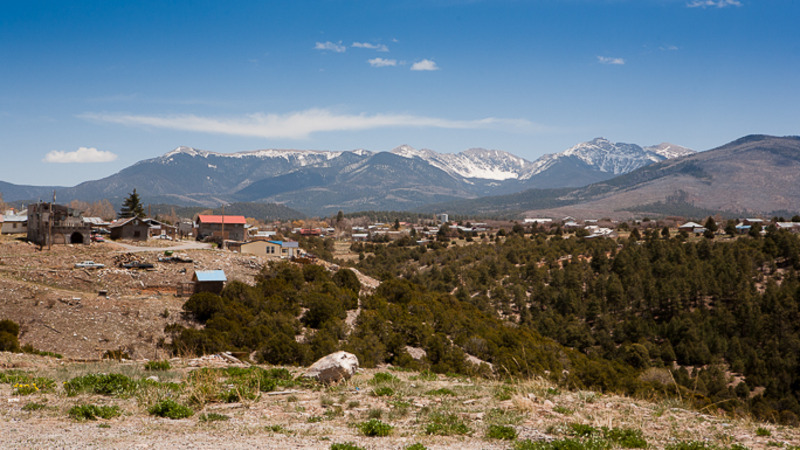 The next afternoon, Delores offered to take us on a drive through the mountains and small towns north of Santa Fe. Our first stop was Chimayo, a town famous for their church and their sundried chili peppers. El Santuario de Chimayo draws thousands of pilgrims every year; there is a well of "holy dirt" inside that is said to heal the sick and bring good luck. I visited with my family years ago and our holy dirt still sits in a glass on our kitchen windowsill, casting its good luck particles upon our house. Unfortunately Chimayo has sold out in recent years, building bigger parking lots and more gift shops, catering to tourists and ultimately taking away from the sanctuary's sacredness. 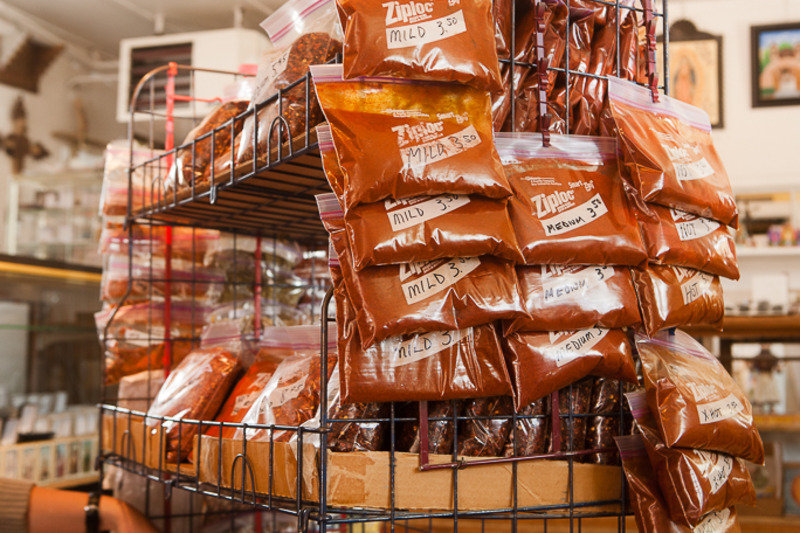 Regardless, we scooped up some dirt for good measure and bought a hefty bag of sundried Chimayo chili powder. We continued on, driving high up into the mountains of northern New Mexico and through smudges of towns that looked eerily abandoned. 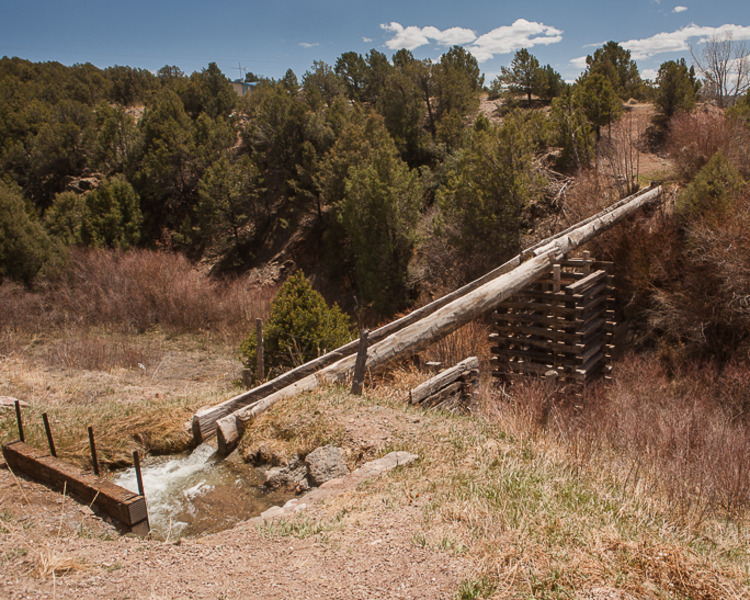 The scenery were incredible; undulating hills dotted with pinion trees against snowcapped mountains, steep rock faces, and the electric blue Rio Grande River that flowed alongside the road. 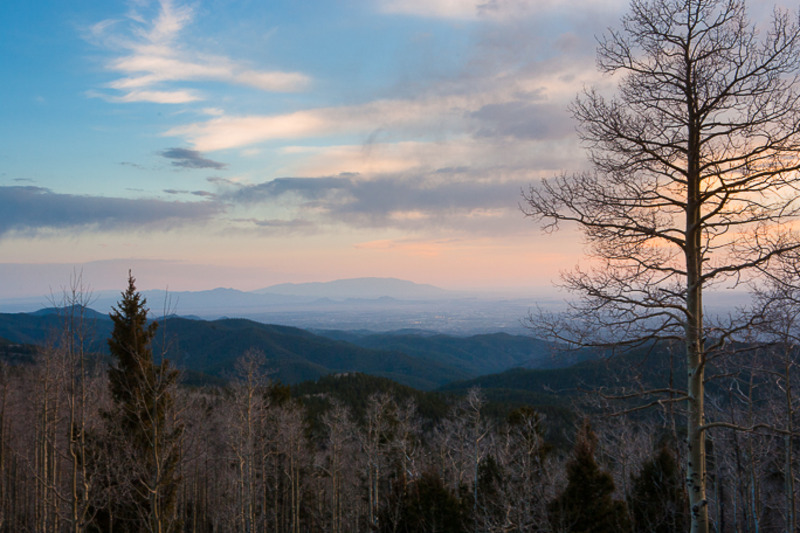 Upon returning to Santa Fe, we drove up to the still-snowy summit of the Santa Fe Mountains and watched the sun set over the city. 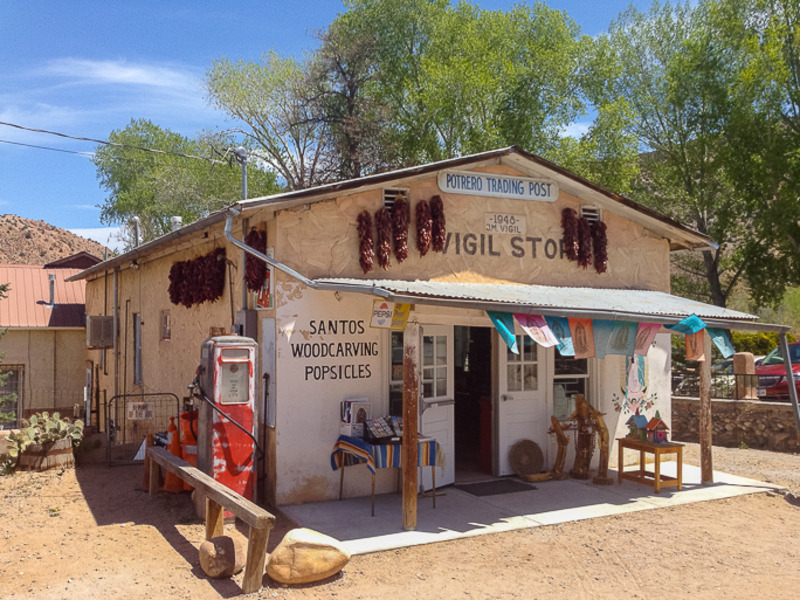 Even though Santa Fe and Chimayo very much cater to the throngs of tourists that flock to the area every year, they maintain a strong sense of culture and heritage. Shop owners and neighbors we met to were fourth, fifth and sixth generation New Mexicans and had no desire to live anywhere else. Nearly every building is traditional adobe and Native American symbolism and design is everywhere. 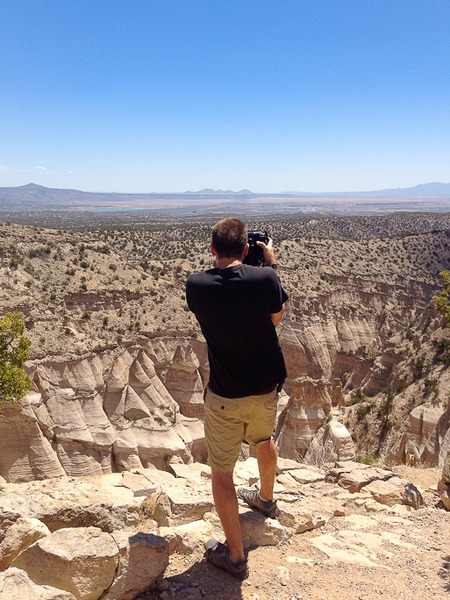 The people of Northern New Mexico are friendly, welcoming and proud to share their beautiful land. Special thanks to Mike P. (who suggested Get some sacred dirt!) and Jessica (who suggested Hike the difficult loop at this magical national monument. ) for making this blog post possible!